King tide is a nickname for the highest spring tides of the year and an important milestone for many people with ties to ocean shores. I gave a little bit of information about it just over a year ago in King Tide. 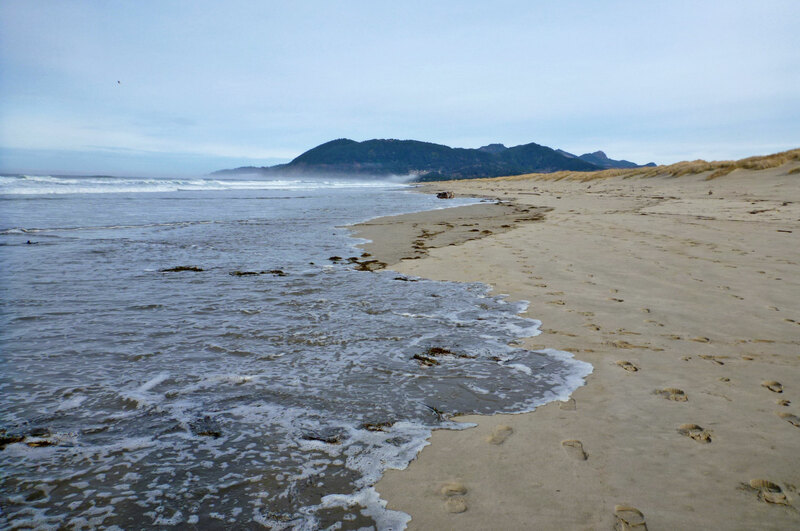 There is an Oregon King Tide Photo Initiative, and similar projects at various coastal localities all around the world. 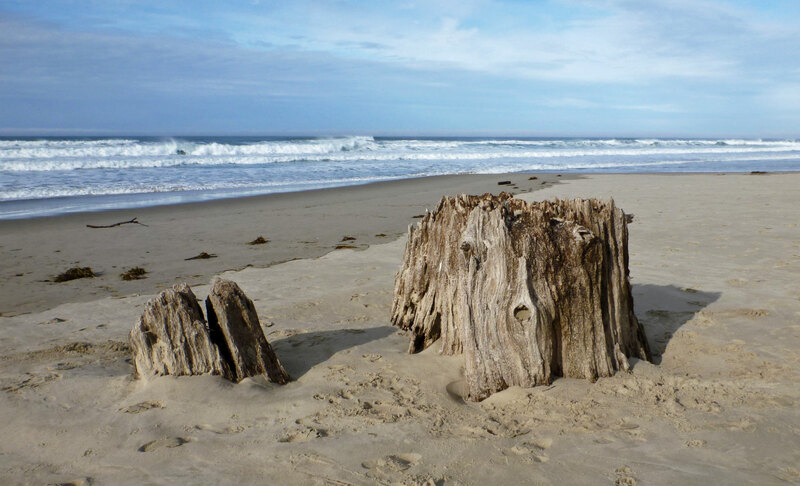 This post is the second installment of theoutershores’ King Tide Project. The first king tide of the new year arrived on January 1, 2014 and I was there to greet it. 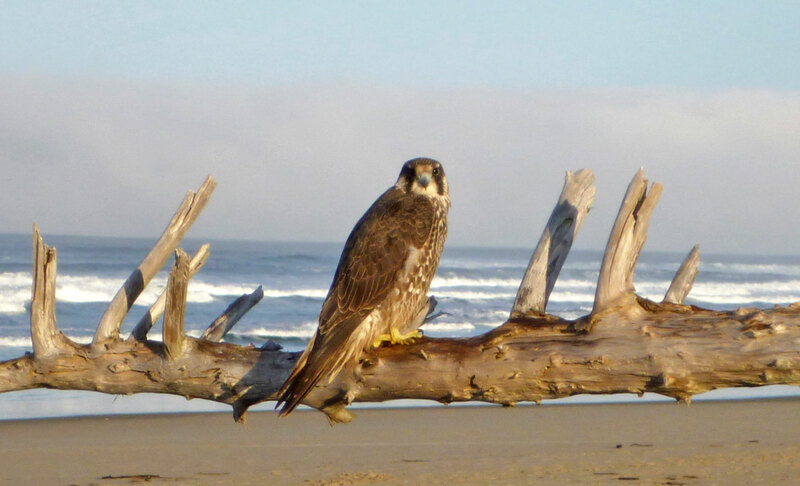 I arrived a couple hours before high tide and found this young peregrine more interested in me than keeping an eye on the approaching high tide. High tide was projected to be 10.4′, the same as the last king tide I observed on December 12, 2012. Here is the same view at high tide, December 12, 2012. Why all the debris in the surf? Even though high tide was the same, 10.4′, the wave forecast for the two days was very different. On Jan 1, 2014 (top photo) the forecast was 1′ wind waves and 5′ swell. On December 12, 2012 the forecast was 3′ wind waves and 13′ swell. Thus, the surge up the beach was much greater on the December 12, 2012 tide and a great deal of debris was mobilized compared to an identical tide on January 1, 2014. Here’s another example. This is as high as the tide got on January 1, 2014. This is 10.4′ on a huge old stump. The view from December 12, 2012. This is 10.4′ on the same stump. The difference is in the combined effect of bigger wind waves and bigger swell. 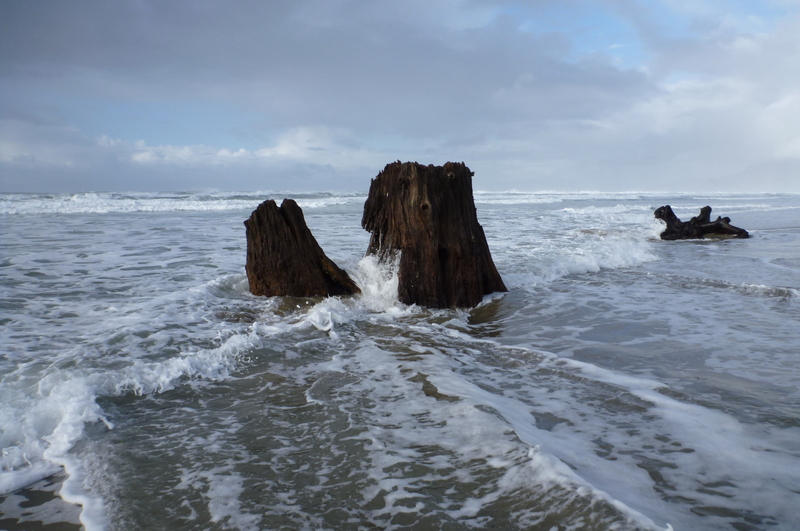 King tide is a good time for exploring the wrack line. 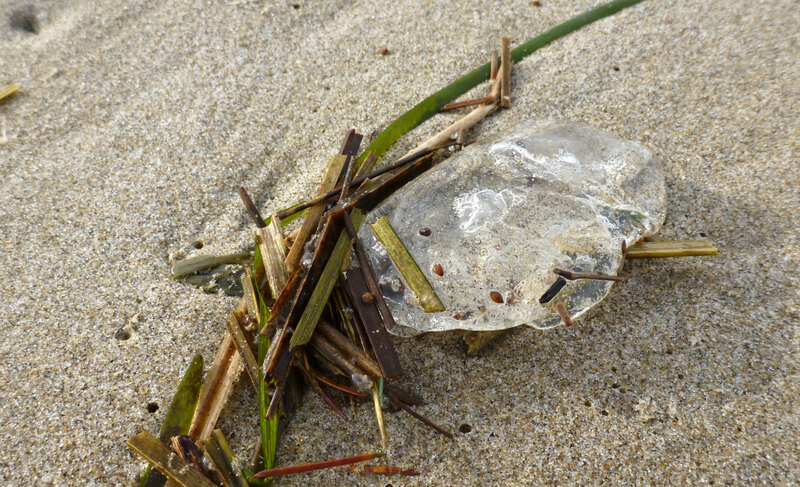 Ever find jelly blobs on the beach? One of my favorite intertidal-oriented blogs, Bay-to-Beach Life, has made a concerted effort to help folks interpret their jelly blob finds. For a good starting point, check out Latest jelly mystery. 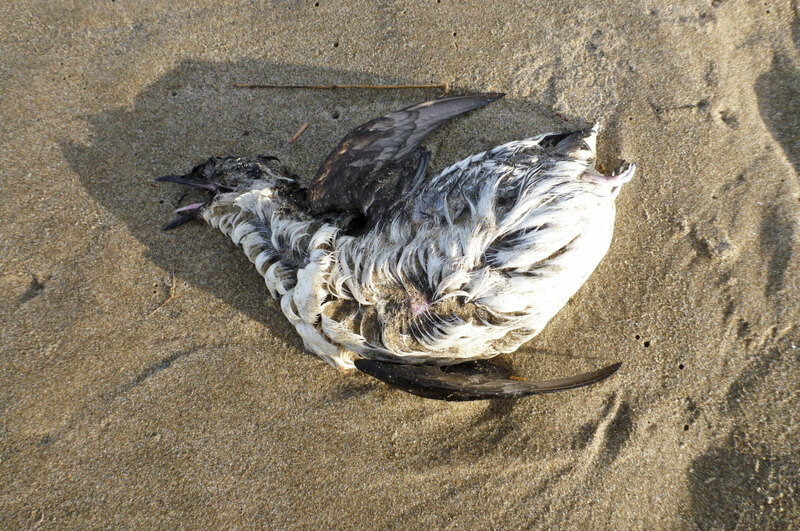 Sea birds are fairly common in the fresh wrack, but you need to be there early in the morning to find the small ones, like this marbled murrelet, because ravens and gulls get on them quickly. At least I think this is a marbled murrelet; there were two in the wrack. If you see things differently, please let me know. To see these and a few other things I found in the fresh wrack on king tide, January 1, 2014, check out Wrack Line 2014. If you are the comparative type, you can go to Wrack Line 2012 and scroll down to December 12 to see what I found in the wrack on king tide just over a year ago. 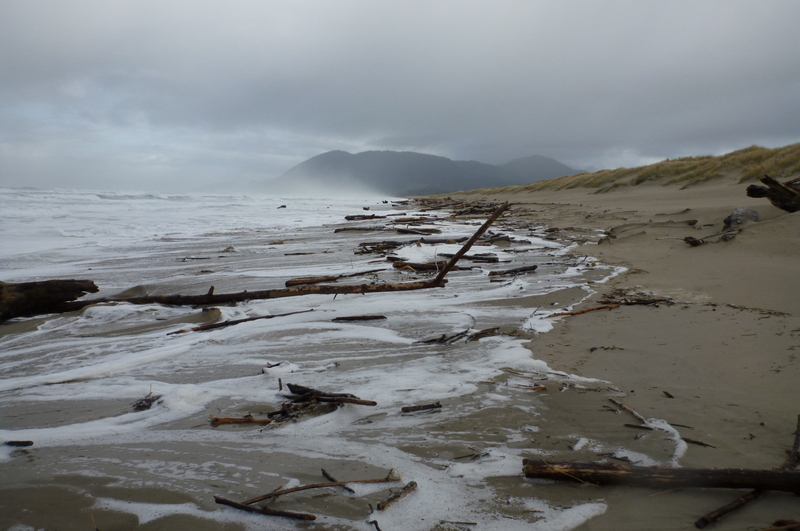 The next king tides on theoutershores are 29 – 31 January, 2014. Check out king tide in your area next time you get the chance. Next Answering the Clam Challenge: Which Shells for Which Beaches? Thanks, Steve. I always enjoy your wrack-line finds as well. Thanks for the article on king tides. My wife would like there to be a “queen tide”. My interest at king tides is with the low tide and the exposed eel grass beds which are full of invertebrates. This is a very low-energy beach on the east coast of Vancouver Island facing the Strait of Georgia. By the way, the first brant geese are back. Very early. Generally arrive end of Feb.
Tell your wife I support equality. You know I love a good low tide, but I haven’t been able to check out the low tides associated with king tide in my area because they tend to arrive during dark hours. Brant are so cool. I wish I saw a few more, but they only rarely hang out on the sandy beaches. One of theoutershores’ header photos is a brant in molt.